sportsequip.co.uk construct new artificial cricket match wickets, as well as batting and bowling ends of any length throughout England and Wales. In many cases, we can also refurbish/renovate existing synthetic cricket pitch bases to an 'as new' standard - prolonging their lifespan by many years at an economical cost. 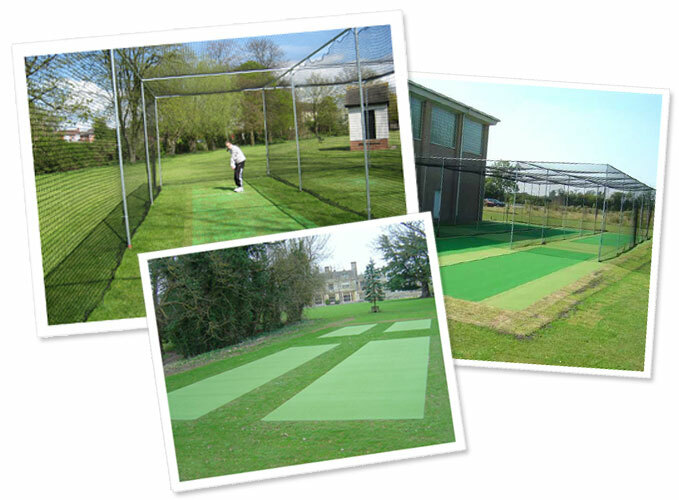 Artificial cricket wicket systems are available to suit most budgets, standards of play and other practical requirements. These include our County Weave, Practice Turf and PVC Backed Practice Turf systems. These 3 systems have been specifically designed to cater for the demands of cricket clubs, parks, schools and colleges. You can learn more about each of these cricket carpet systems below. 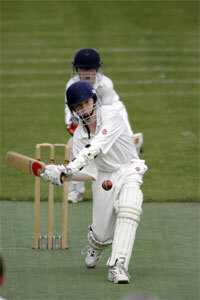 Note: Our range of cricket surfaces is available with or without our professional installation service. County Weave is a professional quality wilton woven playing surface offering excellent playing characteristics and long life. When installed with our cricket Shock Pad on a dynamic base, the system mimics a natural turf wicket - responsive to both spin and seam bowling. The County Weave surface is designed to be low slip for safe use by all ages and standards of player. Practice Turf is a more economical reverse needlepunch, fibre bonded carpet that can also be permanently adhered to new or existing concrete bases, resulting in very low maintenance. PVC Backed Practice Turf is a 2 metre wide alternative roll up/roll down surface. With its heavy PVC backing, this carpet designed to offer predictable playing characteristics when laid onto a solid base. Further details and prices for each of these types of artificial cricket carpet can be found on our website. 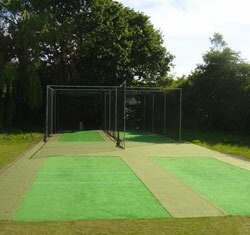 sportsequip.co.uk are happy to offer all cricket surfaces on a supply only basis or with our full installation service. We understand that in some cases, sufficient resources and technical know-how may already exist on-site that will enable a 'DIY' installation to take place. As a result, we're happy to supply cricket carpets and adhesives on a 'supply only' basis. Please contact our cricket specialists on 01858 545789 for further information. Alternatively, our team of experienced artificial cricket wicket fitters can create a synthetic pitch for you, ensuring the maximum lifespan of the carpet can be achieved and the full potential of the carpet can be reached whilst in play. 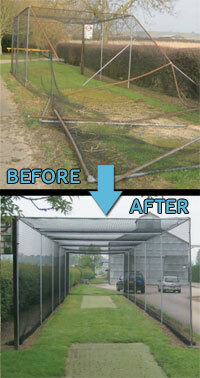 It is often more practical and/or economical to refurbish or renovate an existing artificial cricket wicket. sportsequip.co.uk are happy to upgrade or resurface existing bases where possible to allow the pitch to play 'as new' once more. Refurbishments may require a site visit to assess the current state of the wicket. To discuss your requirements, arrange a free non-obligation quote or to simply find out more information about our artificial cricket wicket services and products, contact us on 01858 545789. Our website also features useful information, including cricket data sheets which contain installation, maintenance and other product specifications.